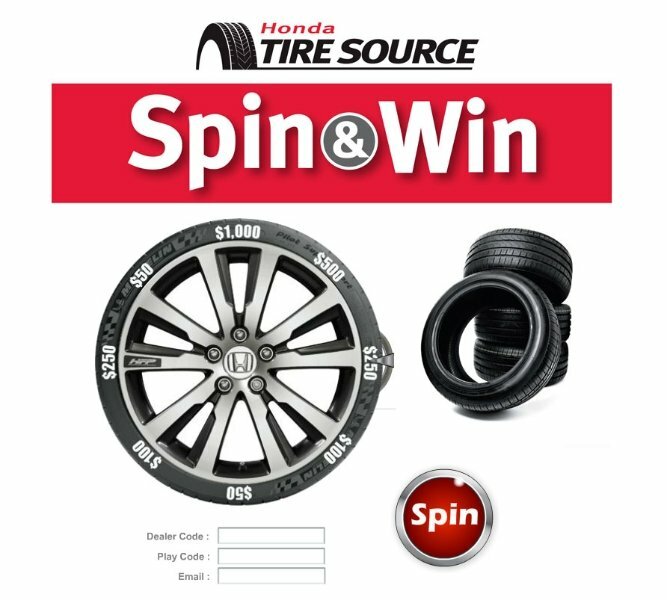 Promote the Virtual Prize Wheel at your store. Shopping is a many peoples favorite past time and with the economy the way it is, they are always looking for deals. 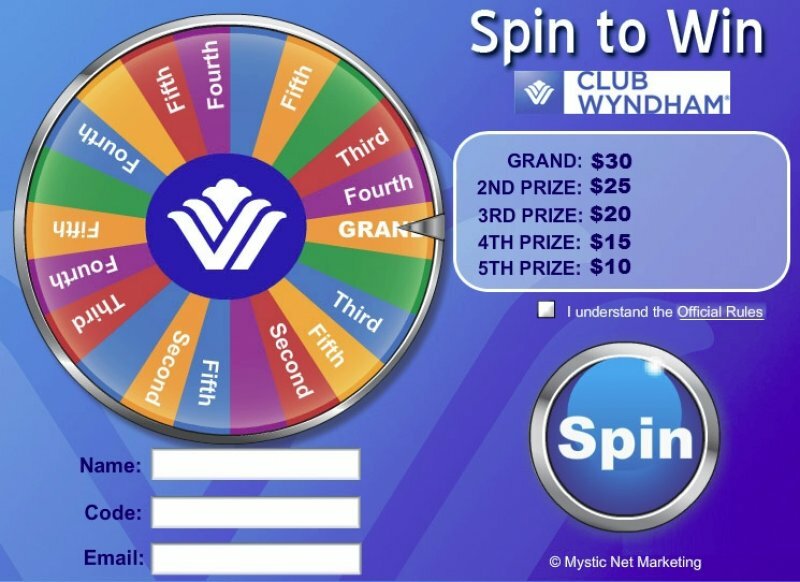 When customers come to your website and see the virtual prize wheel, they will take a chance at winning something. Then this will direct them to your physical location to redeem their prize and or coupon. Once you have them, you can do monthly giveaways. This will keep your customers coming back. This will help keep your customers during the slow times. 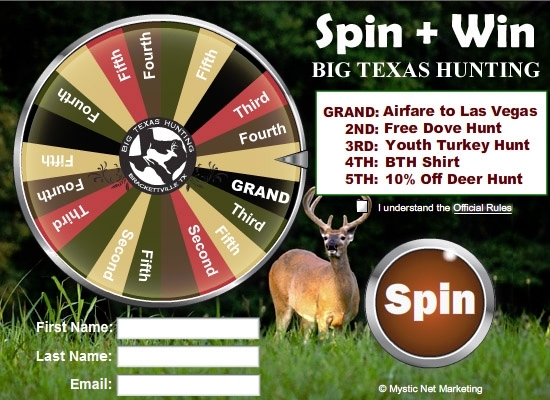 The Virtual Prize Wheel could also be promoted right from your physical location. Set up a kiosk at the entrance. When they see that there’s a chance to win something, this will attract the window shoppers to come in and possibly buy something. 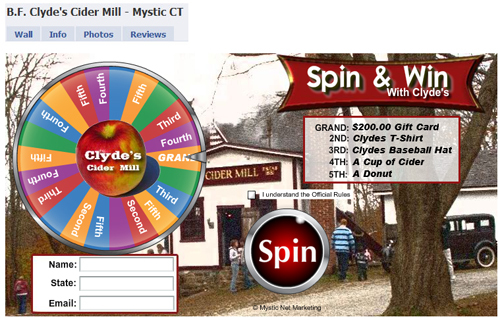 Established in 1881 is a small Cider Mill run by the 6th generation of its founder. A hard working family working the mill as predecessors did. Slowly moving into the new virtual world of websites, mass emails, and now… Facebook. 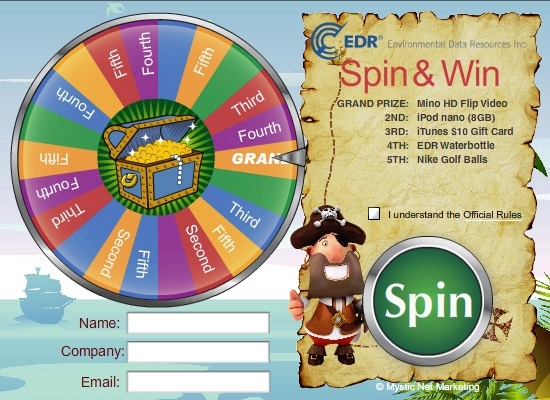 Offering a Virtual Prize Wheel from their website to collect contact data of their visitors was highly sucessful. The time came for their new Facebook Fan site and was to include a Viral Virtual Prize Wheel App. The Fan site went live on about December 10, 2009. Seventeen days later they have 1650 fans. Highly unusual growth for a small business. Recently they added a custom Voting App. on Facebook. Anything to engage your Fans will produce new fans. Take a look at fast growing Facebook Fan page with actual viral marketing strategies in place. 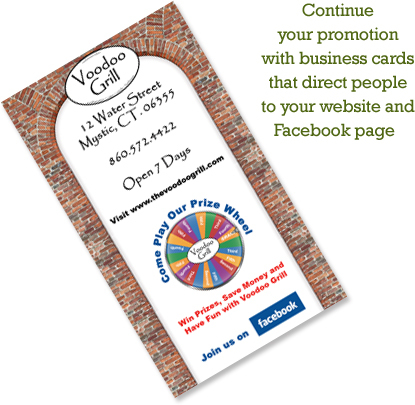 When the Voodoo Grill decided on a Virtual Prize Wheel to kick up their emailing list and drive business through the door they worked out a full scale small business promotion. 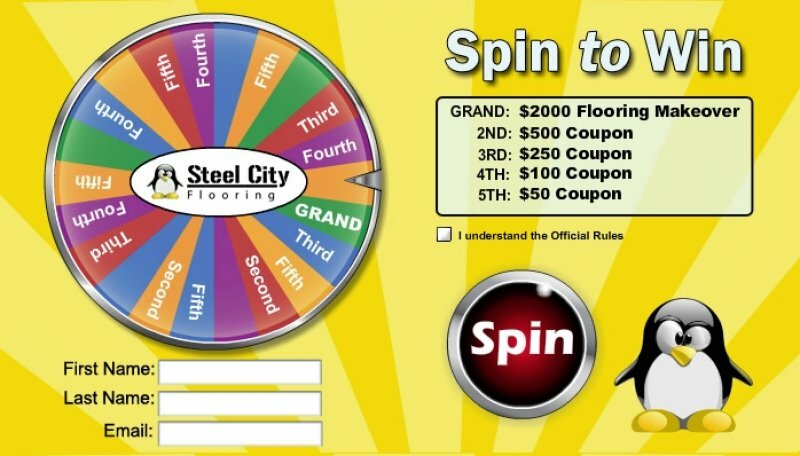 Adding the Prize Wheel to their site was a no-brainer. 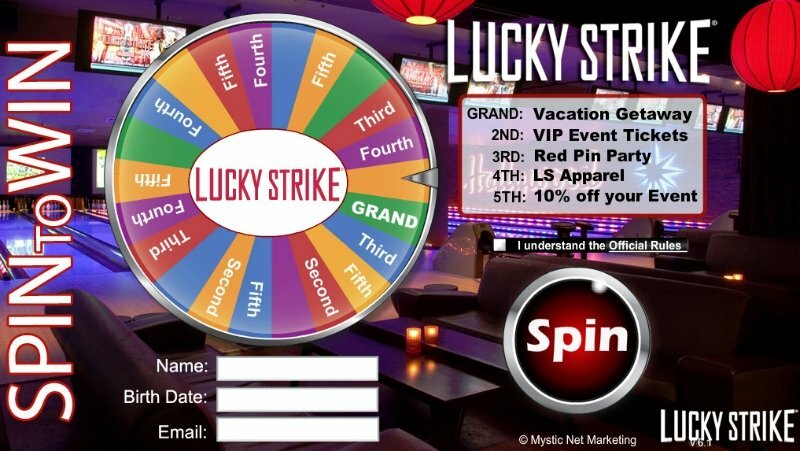 To really get people going they added the Facebook Prize Wheel App which allows players to post to their wall allowing all their friend’s see the Voodoo Grill’s promotion and play themselves. Attached to every receipt is a simple business card inviting their customers to play. (See Below) They also use table talkers and a few posters within the restaurant. This promotion has helped out the restaurant during the slow season thus far. Many people are coming in and end up winning all over again with their dining experience. All it takes is for a patron to come in once and enjoy their time, they’ll return again and again. In the small seaside town of Scituate Harbor, Massachusetts is the highly acclaimed Day Spa. While tranquility is happening within it’s doors, the same cannot be said for what is going on at their Facebook Fan site. 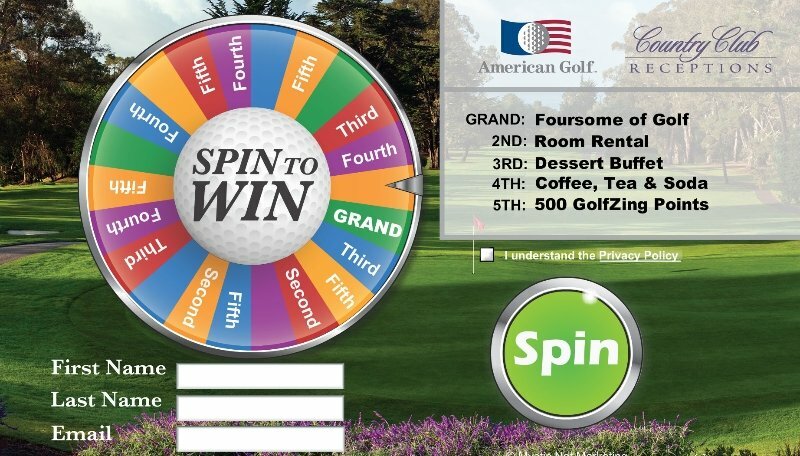 The Facebook Prize Wheel Marketing App allows people to take a Spin from the Fan Site and post to all their friends Walls increasing the spa’s visibility and name recognition. Pushing people into their Fan site and interacting with the Brand is the goal. It only took one person to post after the Spin to get the viral effect in motion. Below is an actual posting to the Wall. This style of a post no longer exists. This one looks like fun. I think it speaks for itself. There is no end to the value of a prize wheel. The same concept would be great for bar mitzvah’s, family picnics, Christmas parties, you name it. Everyone loves a prize wheel! 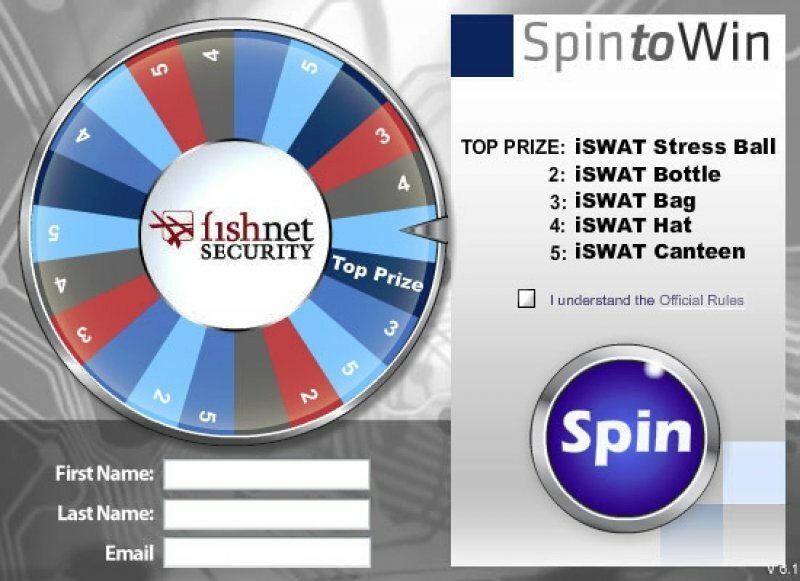 The below was an email from an owner of the Virtual Prize Wheel. Great Idea! 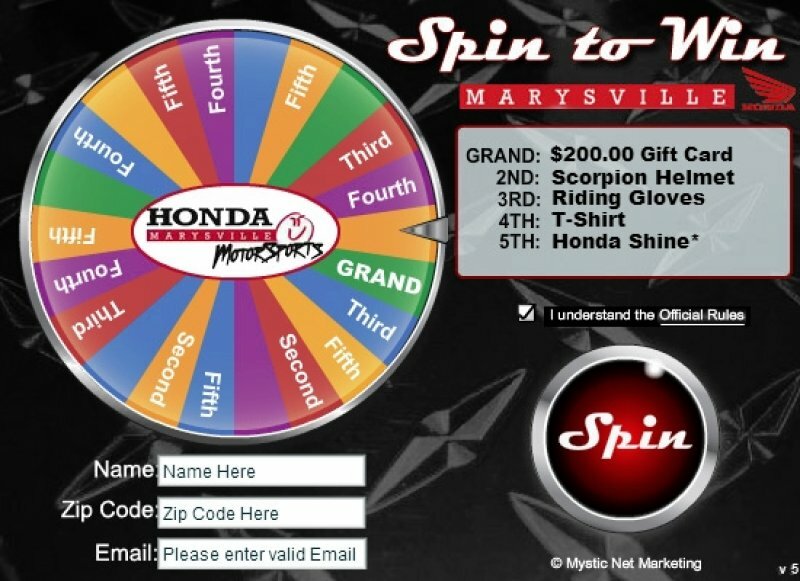 The holiday season is now “officially” in full swing and we’re kicking things off by bringing back the very popular SPIN & WIN instant savings wheel at our Boutique this weekend ONLY! 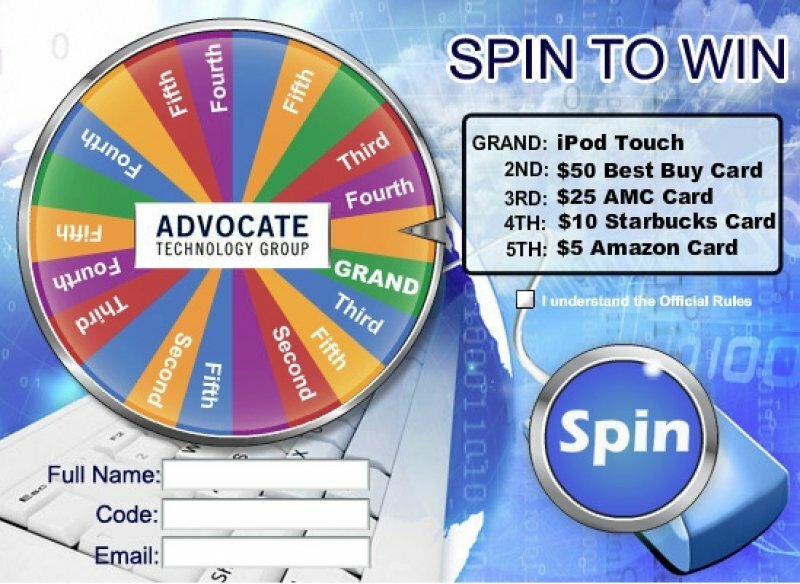 The SPIN & WIN Wheel is a fun game where you simply step up to our little laptop set up at the register, enter a few details about yourself, and hit the spin button! You can’t get much more viral that Facebook. 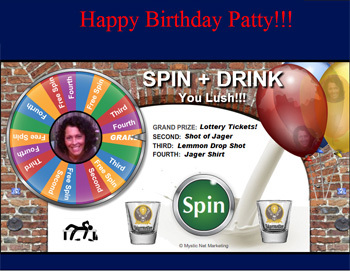 Add a Virtual Prize Wheel to the mix and BOOM! 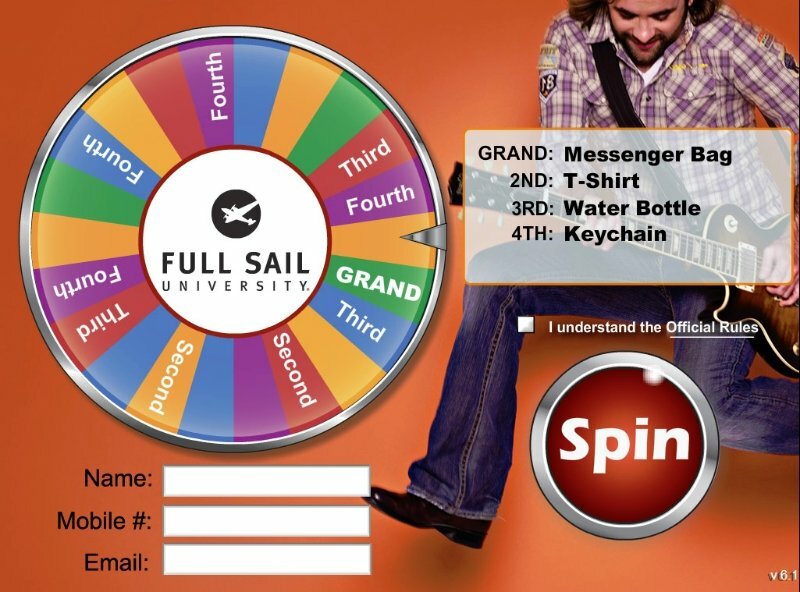 This Facebook application will not only drive people to your Fan page but you’ll aquire their contact data while they are playing your Facebook Prize Wheel. 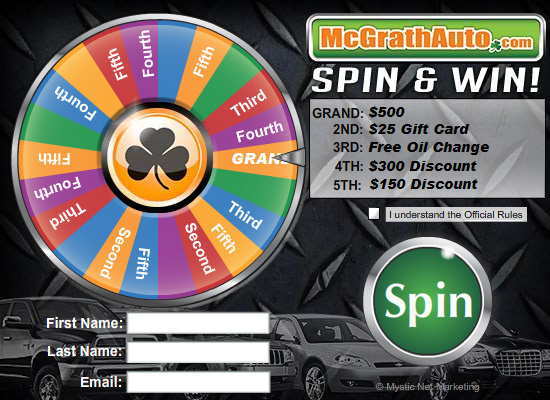 We will be posting a few Facebook App Prize Wheel ideas in the next few weeks. 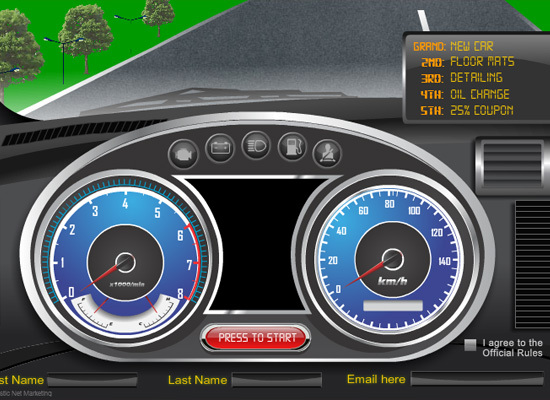 Check back with us and take a test spin on this demo Fan page. 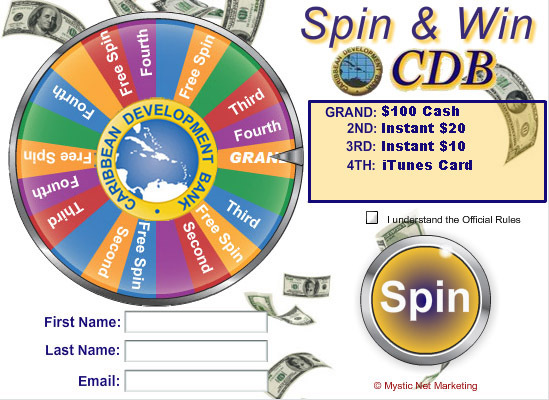 Click Here for the Facebook Prize Wheel. Objective: To increase awareness of event and to promote advanced ticket sales thereby generating immediate income and on-going support for the Reggae Festival. 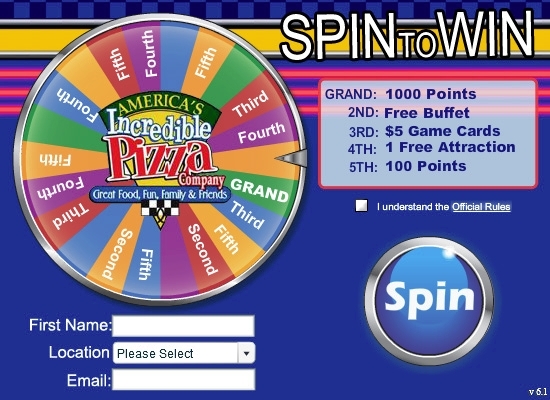 Solution: 60 days prior to the festival a virtual prize wheel was implemented on the festivals website. 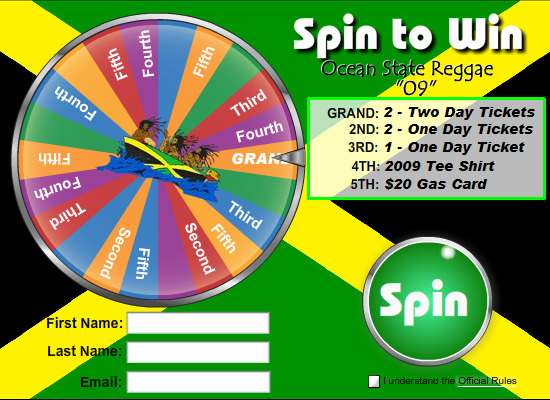 Over the course of the 60 day period 3000 people familiar with the Reggae Festivals’ brand played the prize wheel. 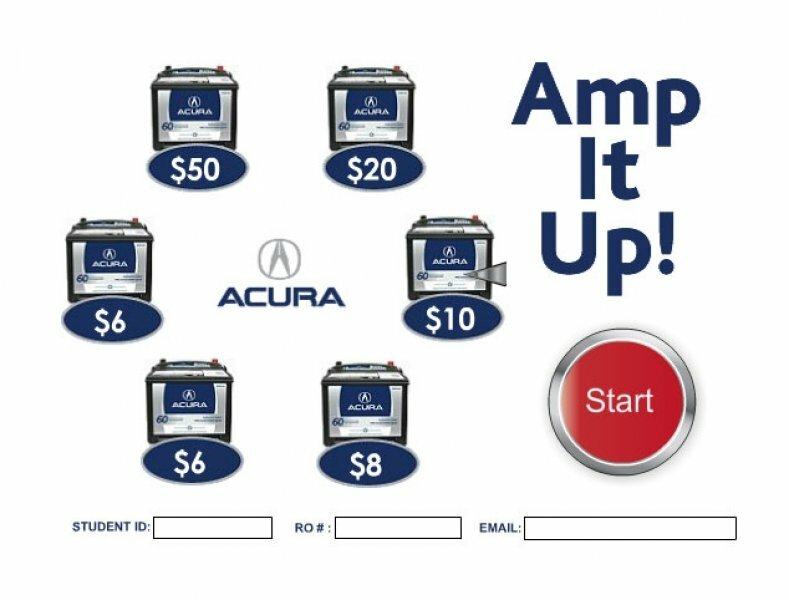 The players contact data was recorded and used to advance their advanced sales initiative and to be a reminded of the event via email campaigns. Results: An email list of over 3000 addresses captured in 60 days, the highest pre-event online ticket sales, and the largest turnout in the festivals history. Historic Downtown Mystic is noted for its wonderful water views; but this season brings a touch of rural New England farmland to the streets. Several downtown businesses are offering their versions of the classic scarecrow. The scarecrow is iconic to the rural landscape and now, The Daniel Packer Inne, The Whalers Inn, Or-Gan-Ik, The Cooper Shoppe, Cee Cee’s of Mystic, Steamboat Inn, Mystic Gem Company, Northern Light Gems, Color Salon and Spa, Mystic Drawbridge Ice Cream, and Puritan & Genesta have put him on maritime streets. 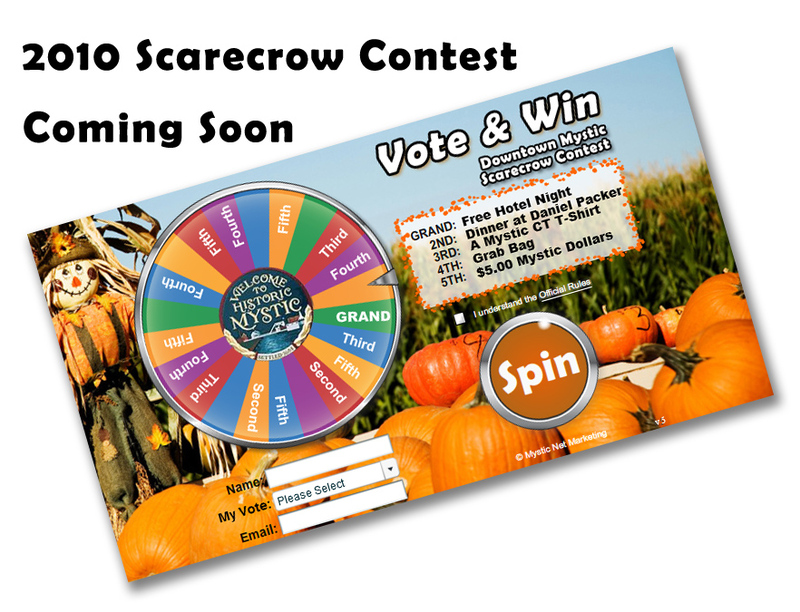 Voters have the opportunity not only to rank their favorite scarecrow but also a chance to win prizes from participating businesses on a Virtual Prize Wheel – from dinner at the Daniel Packer Inne to Mystic Dollars courtesy of the Chamber. This event is sponsored by the Downtown Mystic Business Association of the Greater Mystic Chamber of Commerce and Mystic Net Marketing. Objective: To create a unique interactive promotion to increase hotel reservation during the slower mid-week time period. Solution: The Inn teamed up with local merchants to gather Coupons and Prizes that would benefit all. 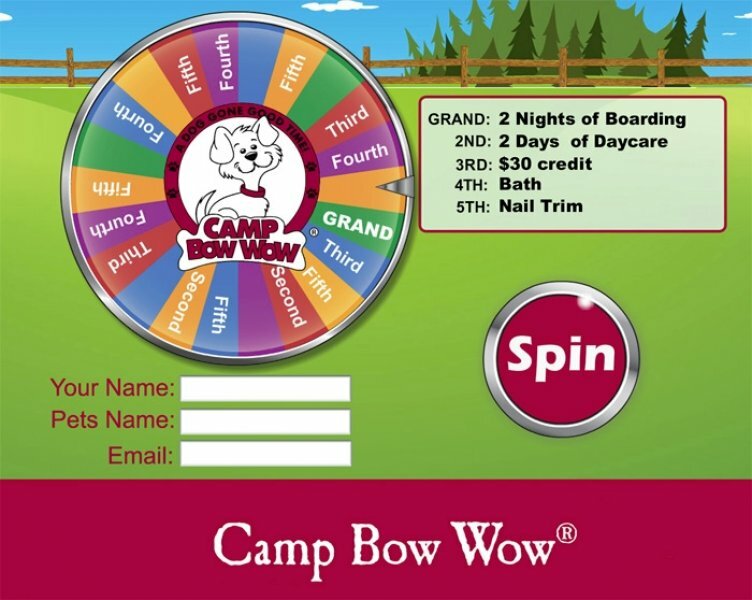 A Prize Wheel was added to their website with a variety of both coupons and prizes which were honored as part of a stay at the Inn. Results: This summer long promotion yielded over 4000 names and email addresses and increased the occupancy rates during the mid-week time period. Objective: Create awareness of a new hotel spa located at (a casino), the largest casino in the northern hemisphere. Solution: Tradeshow Booth at The Chamber of Commerce event at the MGM ballroom. 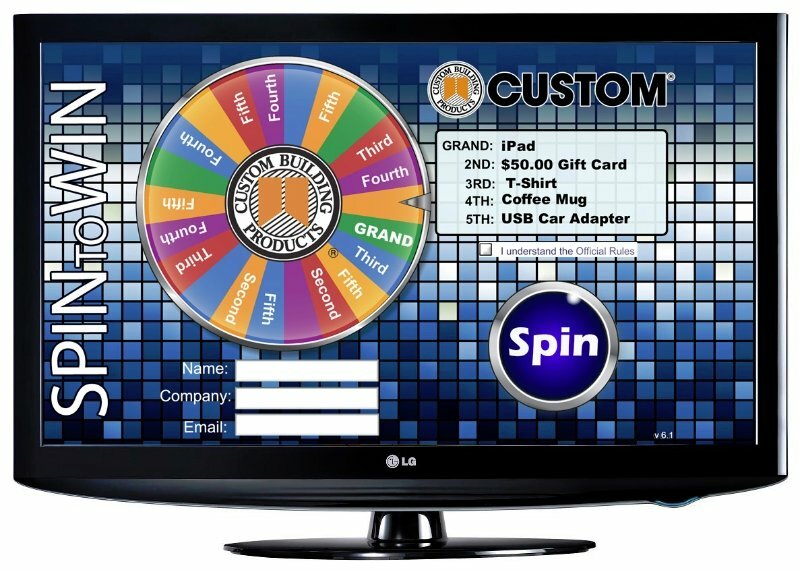 A Virtual Prize Wheel on a large screen TV is loaded with Spa services and prizes. Results: A line of people for the Virtual Prize Wheel quickly grew to the point of a one hour wait for a chance to spin the prize wheel. Near the end of the event the line needed to be physically shut down as it continued to grow. This 3 hour event yielded 300 winners and email addresses. Positive PR as well as an increase in brand awareness. Objective: To build an email list to further their email marketing initiative while driving customers in for increased customer frequency to this high-end three unit restaurant group. 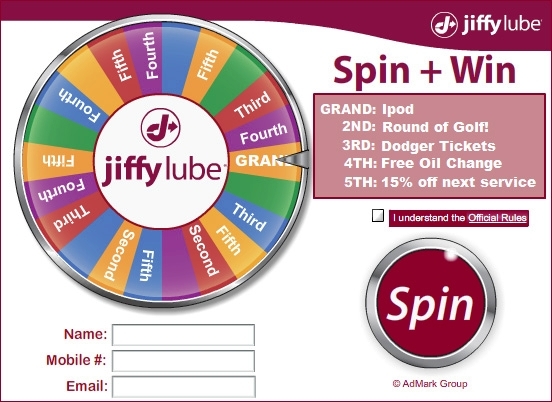 Solution: Add a Combination Prize/Coupon Wheel to their website. 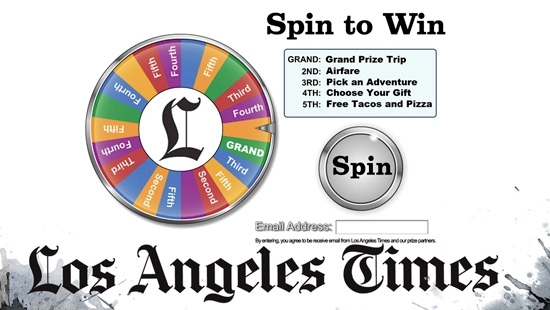 This Prize Wheel offered the chance to win a dinner for two as the grand prize, then various coupons for free drinks, dessert and a chance to win a 20% savings coupon. 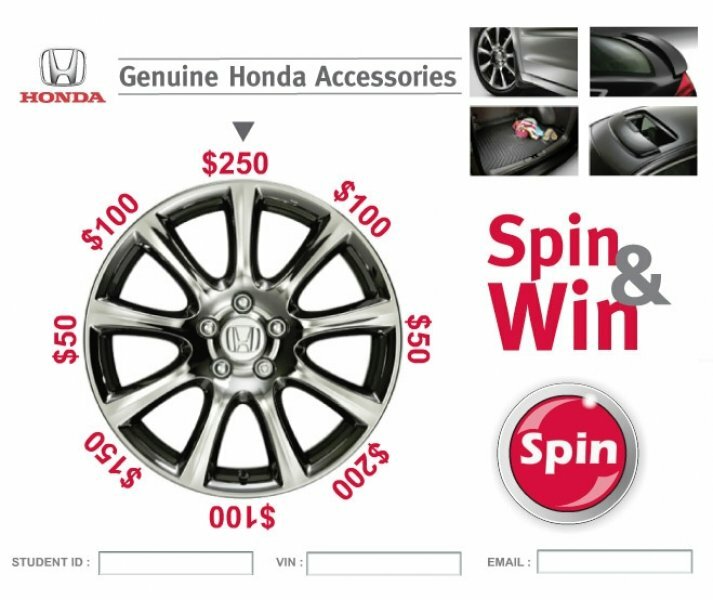 Results: This continuing Prize Wheel promotion averages 30 email addresses per day and will yield over 10,000 email addresses annually. Bigger financial institutions are getting a lot more attention and the smaller financial institutions are feeling it. 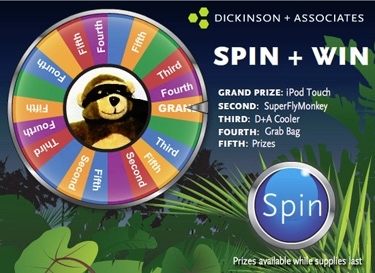 Promote your branch with a Virtual Prize Wheel. 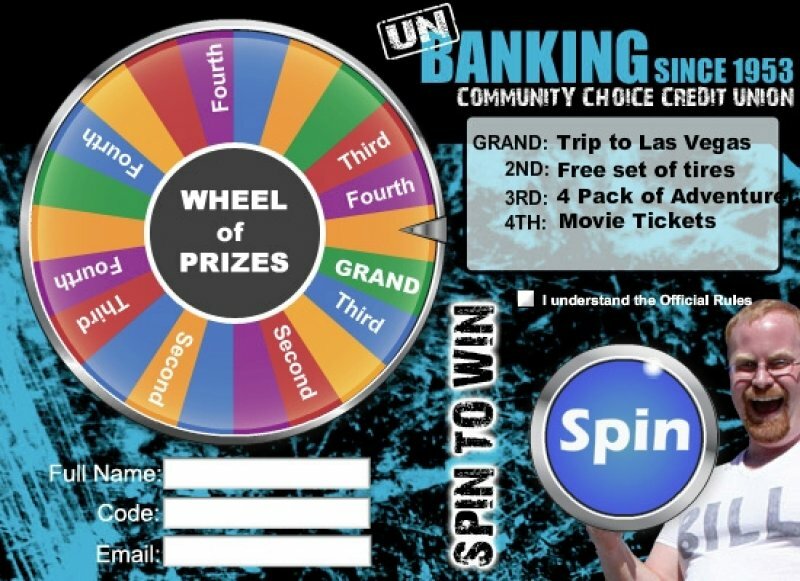 A prize wheel will help make your bank or credit union stand out from the rest. It will help attract people to your website where you can have featured financial news and/or introduce new offers. With having the fun attraction on your website, which will increase your website traffic, it will also increase foot traffic into your branch. The winners would have to physically visit your location to redeem their prize. With a potentially new member walking in your door to redeem their prize, it could give them incentives to open a bank account, apply for a loan, or anything else that they might need. There are many ways of using the wheel in your branch as well. It could be used as a Human Resource Incentive, sell X amount of loans and receive a chance at spinning the wheel. It would help increase the productivity of your workers. It could also be used as a Birthday Wheel, let your customers know that you are thinking of them on their special day. They come in on their birthday and take a chance. It’s fun and everyone likes to win. Always invite your customers to play the following month. You will be building your email list with people familiar with your brand. 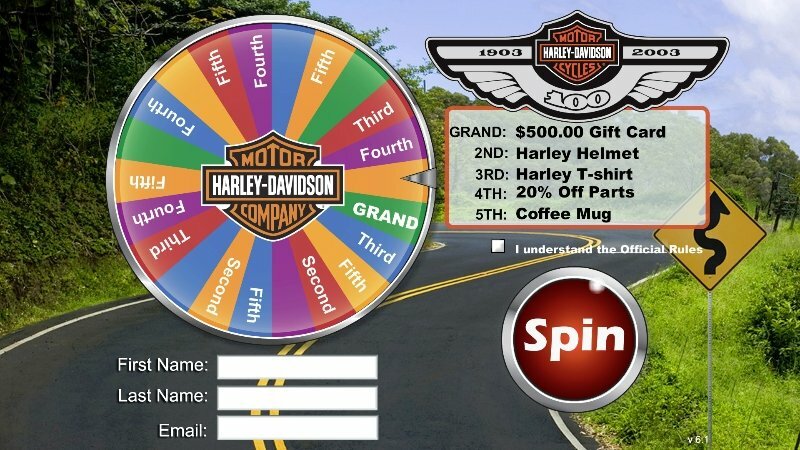 A potential patron visits your website and spins the Virtual Prize Wheel. 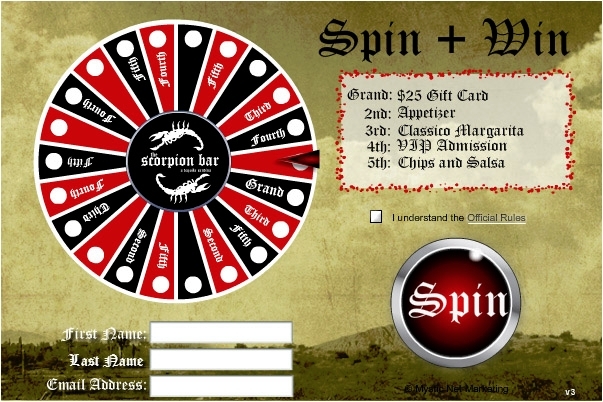 Lucky winners can receive anything, from a free drink or appetizer to a half-priced entree. Of course, they will need to come to your restaurant to redeem their prize – and wind up winning again by sampling your excellent cuisine. You have won a new patron. 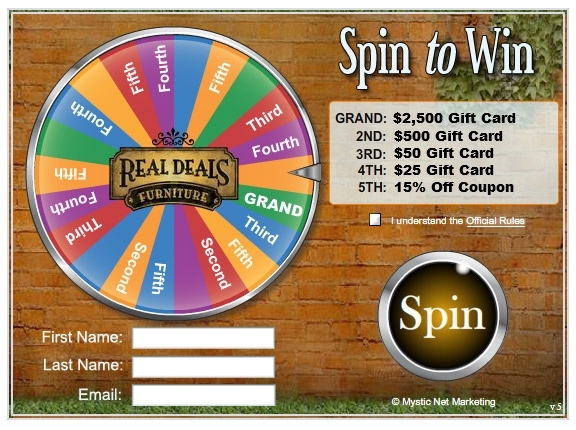 Word of mouth – both about your restaurant and your Virtual Prize Wheel – will win you additional patrons. It’s easy and it’s fun! 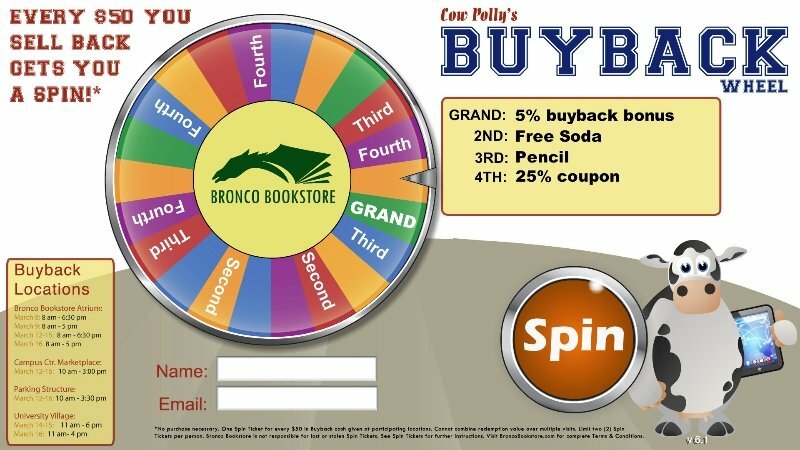 The Prize Wheel is a great way to encourage customer loyalty for your business during the slow times of the week, month, or year!